You really can't go wrong with Anne Barge. 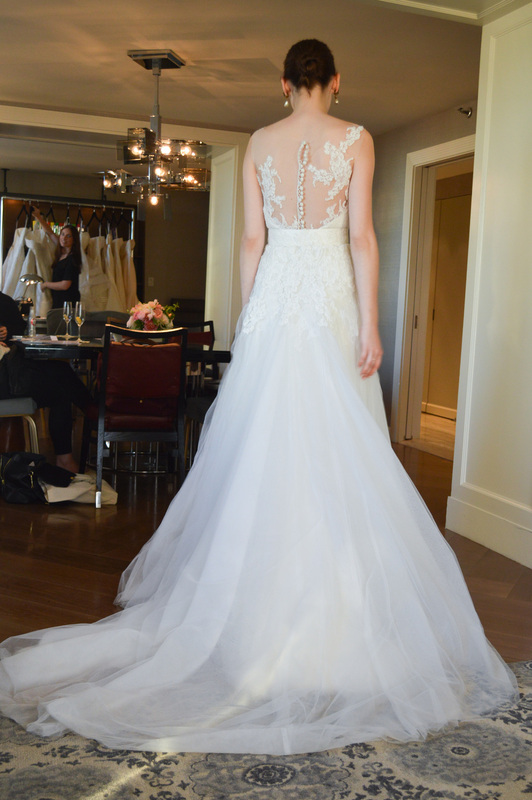 A mainstay in the bridal world, Anne Barge's gowns are classic, feminine, and absolutely beautiful. They are the perfect gowns for brides who value style over trend, who want a classic (but not boring) bridal look, and whose style icons include Chanel, Audrey Hepburn, and Kate Middleton. The latest collection, which we saw at Bridal Fashion Week in New York this October, is one of our favorites yet - with so many gorgeous gowns, it was really difficult to narrow down a selection to have in store at Little White Dress Bridal Shop in Denver! Shown here are a selection of our favorite gowns from the collection. These gowns will be available at Little White Dress starting Spring 2015!